I snapped these photos with the sweet Bryn of Stone Fox Style while out adventuring in San Francisco last month. Check out her blog here: Stone Fox Style. I am super excited to be starting the Top 10 Remix Challenge with the lovely Sarah of Sarah's Real Life. One of my top 10? Silk buttons down blouses. One in each color please! What are your top 10 wardrobe items? Find out more about this fun April challenge here. 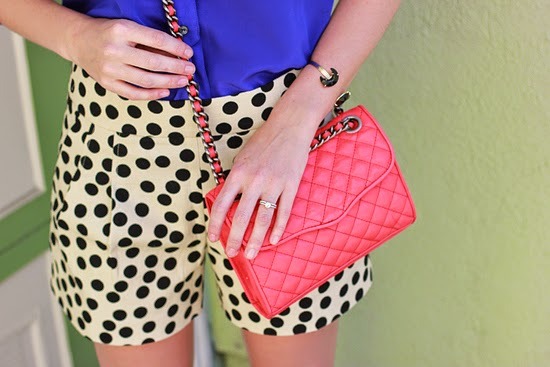 LOVE those shorts and how you styled them with the pop of color! Gorgeous! Love these, the shorts are so summery! Love a good polka dot! 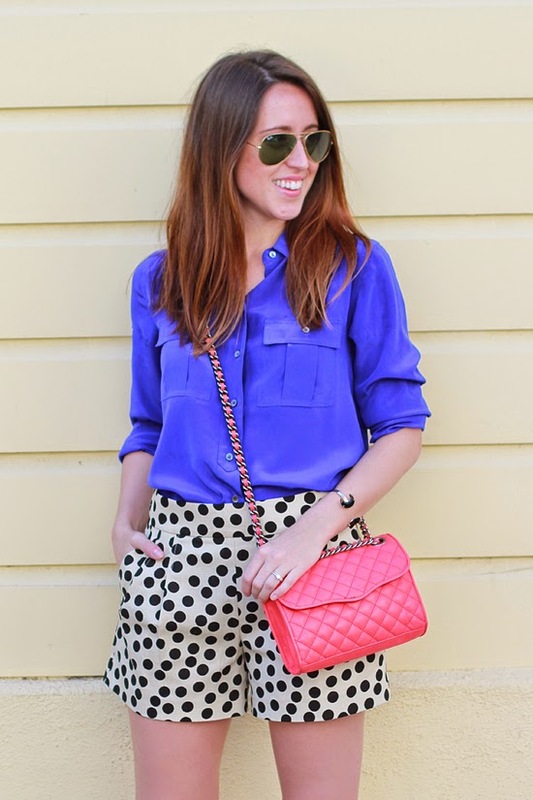 I'm a cobalt color addict and this button down is begging to be added to my collection ;) You look great, girl! I'm loving this look! I need a pair of those shorts asap! Such a cute shorts and perfect mini bag! I like your outfit very much, it's fun and perfect for hot Spring and Summer days! SO glad that shorts weather is here to stay for both of us! SO excited you're joining in! Almost as excited as I am about those shorts. These shorts are so CUTE. 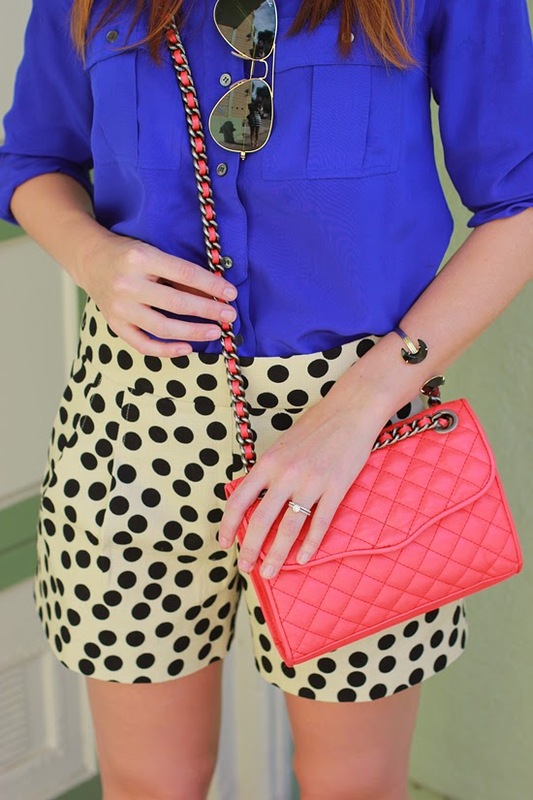 Love the blue blouse and red bag! Great colours all together. Love these shorts! So cute!